Last month, I was thrilled to be offered another job from Honolulu Magazine's art director, Cody Kawamoto. 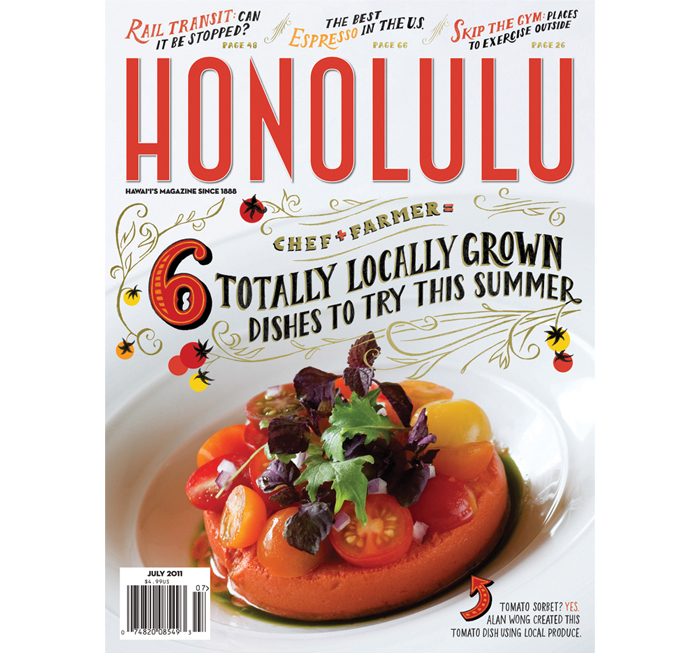 They were looking for an illustrator to create some hand lettering for the cover of their July issue–the local food issue! Cody's direction to me was for a vintage seed-packet type look, possibly utilizing gold ink. This was right up my alley. I had a lot of fun working on this piece...and also experiencing the hectic rush of working on a cover. Thanks, Cody!